Unmanned aerial systems (UAS), commonly referred to as drones, are finding applications in several ecological research areas since remotely piloted aircraft (RPA) technology has ceased to be a military prerogative. Fixed-wing RPA have been tested for line transect aerial surveys of geographically dispersed marine mammal species. Despite many advantages, their systematic use is far from a reality. Low altitude, long endurance systems are still highly priced. Regulatory bodies also impose limitations while struggling to cope with UAS rapid technological evolution. In contrast, small vertical take-off and landing (VTOL) UAS have become increasingly affordable but lack the flight endurance required for long-range aerial surveys. Although this issue and civil aviation regulations prevent the use of VTOL UAS for marine mammal abundance estimation on a large scale, recent studies have highlighted other potential applications. The present note represents a general overview on the use of UAS as a survey tool for marine mammal studies. 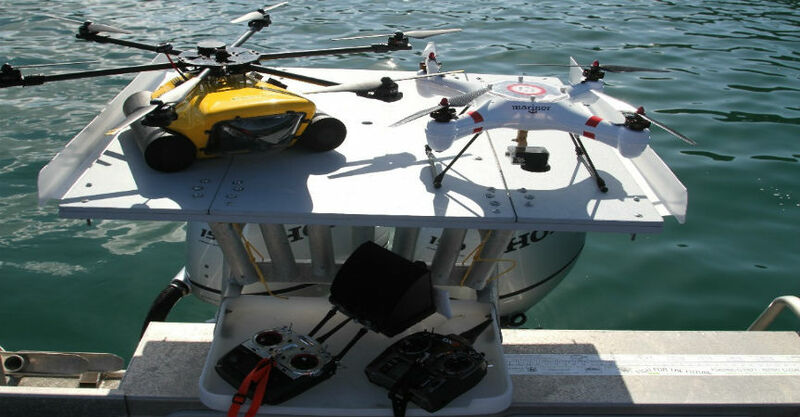 The literature pertaining to UAS marine mammal research applications is considered with special concern for advantages and limitations of the survey design. The use of lightweight VTOL UAS to collect marine mammal behavioral data is also discussed.